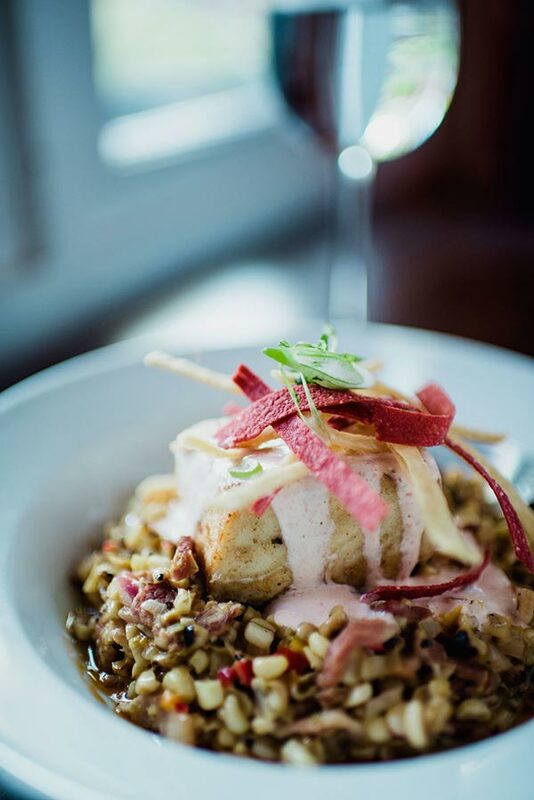 At Hearsay, we enjoy taking traditional menu items and finding ways to reinvent them. There is no better example of this than our butternut squash “risotto,” where squash is used in place of rice. Cooked like risotto and finished with grated parmesan and cinnamon butter, it’s a unique take on a classic dish that’s sure to please. 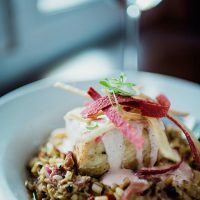 Hearsay’s menu features a great variety of entrees, including a duck breast with Japanese spices; a spiced pork chop, for which Executive Chef William C. Shine II was awarded a silver medal; and a great New York strip served with cauliflower gratin. These dishes demand that we source the finest protein available. Our Japanese Kurobuta pork comes from Snake River Farms, our exceptional beef comes from Double R Ranch, our duck is from Maple Leaf Farms, and all of our seafood is wild-caught, including our popular prawns. We strive to provide our guests with an unforgettable dining experience. Please join us; reservations are always welcome and recommended.